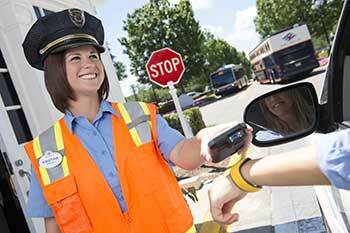 As a Security Host/Hostess, the main goal is to provide a safe and secure environment at Disney Parks & Resorts. Cast members may work in various locations throughout our Theme Park and Resort Hotel areas, both on-stage and backstage, maintaining an environment that enables our guests and cast members to experience the magic of Disney. By combining behavioral assessment procedures with technology, they perform enhanced screening at entry points, while maintaining diligent awareness of surroundings and communicating all vital information to team members. I love working at the Walt Disney Company where our mission is to create happiness, also, being able to work with a very diverse and dynamic team makes it a rewarding career choice. At Disney, we‘re storytellers. We make the impossible, possible. We do this through utilizing and developing cutting-edge technology and pushing the envelope to bring stories to life through our movies, products, interactive games, parks and resorts, and media networks. Now is your chance to join our talented team that delivers unparalleled creative content to audiences around the world. “We create happiness.” That’s our motto at Walt Disney Parks and Resorts. And it permeates everything we do. At Disney, you’ll help inspire that magic by enabling our teams to push the limits of entertainment and create the never-before-seen! The Canine Handler team is responsible for a variety of canine handler activities at the Walt Disney World Resort, including; working as a team to inspect crowds, venues, personnel, cargo, vehicles, and buildings. Depending on the client, handler duties may include working major events and scanning the crowds. The Canine Handler position is expected to complete training courses, maintain yearly certification and maintain proficiency through weekly training with a company issued canine partner. Quickly and effectively respond to supervisory direction regarding the scope and direction of canine tasks. Possess ability throughout shift to: walk, stand, bend, and lift up to 90 lbs. to assist the canine into the vehicle, while keeping balance when handling the canine. 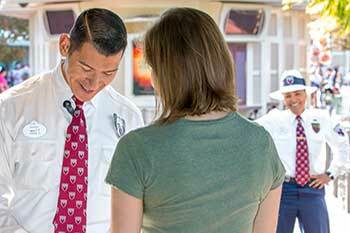 Build and maintain strong relationships with cast members at all levels and all lines of business to provide excellent service to our Guests and Cast. Follow appropriate operating guidelines in regards to incident response, documentation and notifications, as well as being a subject matter expert during on scene responses. Clean kennels and vehicles, and bath and feed the canines. Flexible with work-hours in order to respond to urgent issues and to situational needs and requirements of the workload. Maintain strict discretion and confidentiality. Possess excellent written and interpersonal communication skills. Understand and successfully handle various operational issues. Interfacing with the public and present a professional image and demeanor at all times. Be comfortable scanning crowds with their canines for detection. 2 years of experience in positions of increasing responsibility within security, military police, law enforcement or related investigations discipline. Security K9 handling experience is accepted. Minimum six (6) months Animal Handling experience with a professional agency or organization; within the last eight (8) years. Must be able to attend K9 school including traveling out of state for up to seven weeks and pass K9 certification every six months. Experience in fundamental business skills and proficiency in standard office software programs, such as word processing and spreadsheets. Our Theme Parks and Resort Hotels operate 24 hours a day, 365 days a year. Schedules and start times are subject to vary. The Canine Handler position is a costumed hourly role. Please upload your resume, any animal or canine related documentation and/or certifications. *Benefits subject to change at any time.